It’s no secret that the TBS Westminster is my favorite reference Bible. It has 200,000 cross-references, a glossary in the margins, a sharp digital font, and I love that paper. The one thing I hear the most from readers is they want the Westminster in large print. TBS listened. The Large Print Westminster goes into print this June and will be available in the UK in September. Hopefully, it will be available here in the US by this Christmas but that’s not guaranteed. We can always order from the UK shop though. The Large Print Westminster is an enlargement of the current setting. It will be 23% larger than the regular edition. This will bring the font to around 11.8, creating a rival to the Turquoise, Canterbury, and Longprimer. Like the Compact Westminster, it will not include the concordance in order to bring down the cost and size. It will be available in hardcover and calfskin. I’ll post more information as I receive it. UPDATE FOR USD PRICES: $27 for the hardcover edition and $95 for the leather edition. You can purchase the regular size and compact Westminster’s at the TBS store and get the Kindle edition from Amazon. I’m looking forward to the Large Print Westminster. I love the regular edition for reading and study, but the font can sometimes be a little small for me for preaching. The thin font design can be a little difficult to read without good lighting. The larger font will fix that problem. It will be a great edition for reading, study, and preaching. How about you? Are you looking forward to the Large Print Westminster? Let us know what you think in the comments. 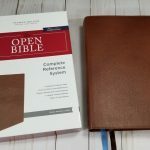 Review of TBS Windsor Text Bible in Black Calfskin. Authorized King James Version. Published by the Trinitarian Bible Society, London England. It’s about time!!! Love the Westminster but a bigger font will make all the difference in how much I use it. When I bought the Westminster, I knew the print was too small for me to use as a pulpit Bible, so I just bought the hardback version. I’ve kept it on my desk, close at hand for all the years I’ve owned it, and I dig through the 200,000 cross references regularly. Well, now that they are making a larger print version, I feel certain that I will buy one with a nice leather cover. Appreciate the great review, Randy. Thanks Mark. I love their calfskin leather. I’ve been emailing TBS for the last few years about this and am happy to hear this will be released. 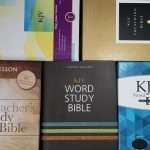 I’m becoming less interested in reference Bibles however as I find all the superscript numbers and letters a distraction to the reading experience. For this reason I’d like to see a large print Windsor Bible. 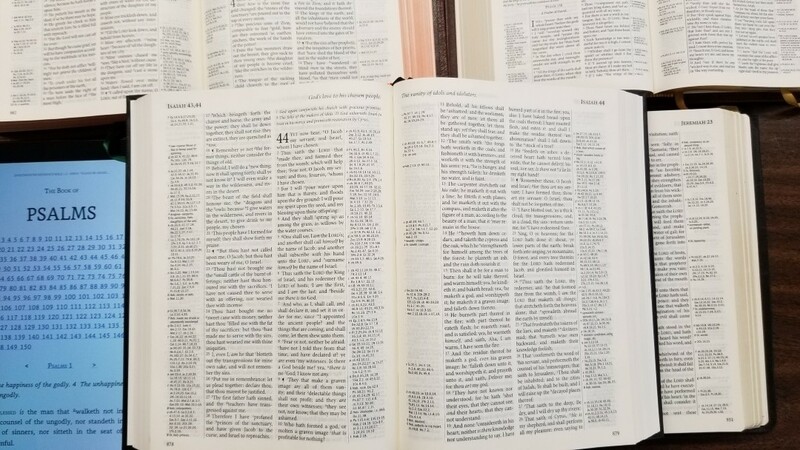 I’d asked TBS about this and they said that the Family Bible (which is the Cambridge KJV Large Print) covers the need of a large print text only Bible in the TBS lineup. That being said, they are thinking about it and I’d love to see one in the future. Hi Richard. I love your way of thinking! I’ve also asked them about a large print Windsor. I’m sure they would publish one if enough people asked for it. I’ve been waiting years for this. Yes! If the paper is very opaque. I can’t say much more than this will be wonderful and I’m eagerly looking forward to it. 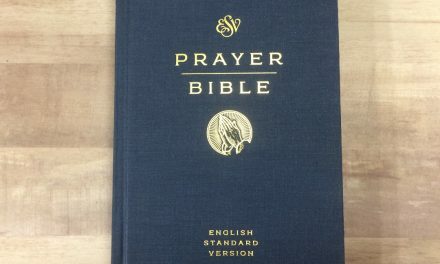 Is the Large Print Westminster Bible coming out this year? Hi Christopher. Yes it is. It should be available in the UK in September and in the US by the end of the year. That’s awesome Airik! I actually found your Turquoise review a few minutes ago. I’m watching it now. I’m glad you like the Cambridge Turquoise. It’s in a league of its own. And you’re right about waiting for the large print Westminster. That’s going to be an awesome Bible! Thanks for the kind words! You’re an awesome reviewer yourself! fyi, we’re in the process of moving the website, so these comments might not transfer over. Hi Randy! I was on the TBS website a little earlier,. I happened up on a catalogue dated 2018/2019. 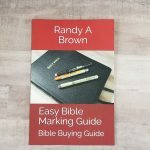 It has the Large print bible listed, but it’s not up for purchase just yet. Have you heard anything else on tentative release? Hi Brad! Unfortunately, I haven’t heard any updates. I hope to get an update soon. I’ve been checking the UK shop and still don’t see that its been released. Any ideas? The font is thin in the regular size ( prefer bolder fonts) but by them going with a bigger font I dont see it making it all that better unless they also make it bolder. My wife has a canterberry and the font is large yet very thin. I find that a longprimer is easier to my eyes than the canterberry even though the font is smaller. the one thing I dont like about the longprimer is that it doesnt have the kjv translators notes and no italics. Hi Chrisitan. I’ve seen a few people from the UK posting them in the Facebook groups and on YouTube. You might need to call them if their site isn’t showing it as available. From the reviews and photos I’ve seen the font looks to be the same darkness as the regular edition. I’m with you- I prefer darker fonts, translation notes, and italics. Even though I use Bibles without them, I’m more drawn to those that have them. I am now sitting here in the U.K., in my armchair, with three Westminster’s before me : Compact, Standard, Large Print. Their fonts are 7.3, 9.6,11.8; and ther dimensions (in inches) are 4.6×6.5, 6.0×8.5, 7.4×10.4. All three have very crisp and readable type. I am in my 73rd year, and am still able to read all three, but do need a good(ish) light at times! Hitherto, I have carried about the Compact or the Standard, and have preached and taught from the Standard; and I have placed several of each with others. Now, without forsaking the Compact or the Standard, I shall preach and teach from the Large Print – it is simply superb! Could if be Berger? Of course! – 1. be full A4 size (8.3×11.7); 2. contain “The Translators to the Reader” (19 pages); 3. contain the Concordance (139 pages). In fact, I have whispered a plea to TBS to issue an interleaved and/ or loose-leafed edition – what a boon that would be! All three can be bought as hardback, at the inexpensive prices (rounded) of £12, £15, £20 ($15, $20, $26). Thus, for the total outlay of around £50 or $60, one can have three superb Bibles! These are high-end but inexpensive productions, within the range of ordinary folk – other publishers should take note! Thanks Alexander! It sounds awesome! I’d LOVE to have it in interleaved or loose-leaf. Yes, OK, complete disclosure requires me to say that I did also get the calfskin edition at around £70/$91. I can only say that I had some gift money spare! It is a very superb Bible, which I shall cherish and hope to pass on as an heirloom! But, I am truly glad that the highly cost effective hardbacks are available! 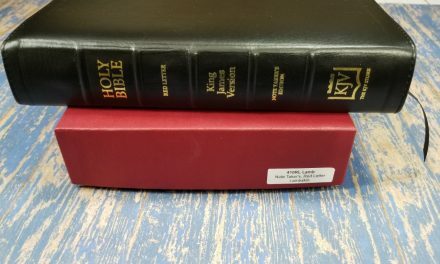 I noticed some earlier comments about larger print, and should like to bring to your attention two other TBS productions that might be of assistance : 1. the one-volume 15.5-font Extra Large Print Bible; and 2. the four-volume 19.0-font Giant Print Bible. 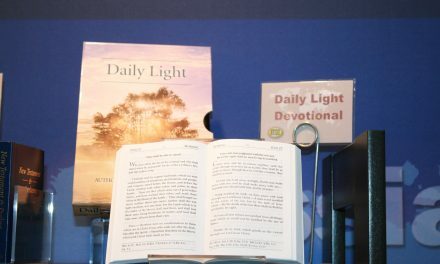 Details can be found at tbsbibles.org (UK site – I think there is also a USA site?). Thanks! 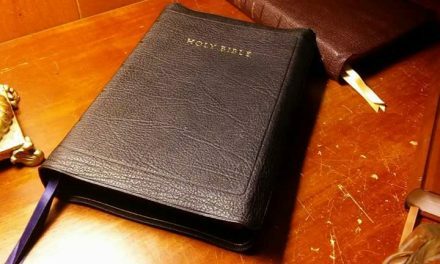 I’ve reviewed the Extra Large Bible 15-point (it’s amazing).